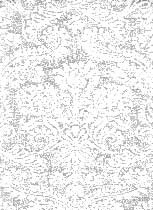 The metal is embossed and chased in great detail to represent the figures and the texture of the background. Unknown maker. Velvet is worn. 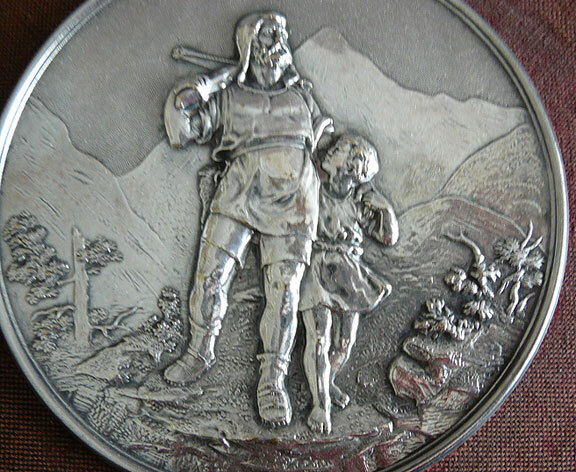 One medallion shows William Tell and his son in a mountainous landscape. It is based on the memorial (1895) in Altdorf by Richard Kissling. 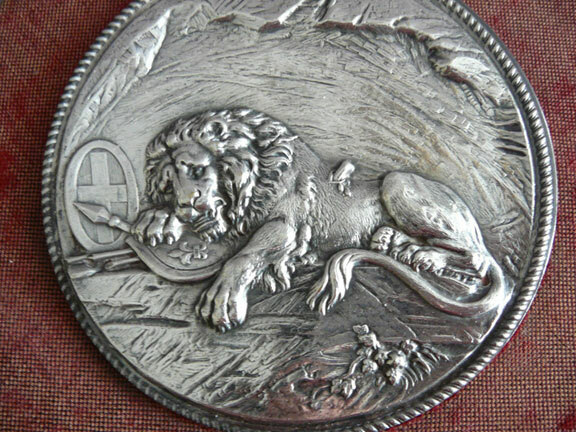 The other shows a wounded lion lying on the shield of France. It represents the Swiss Guard who defended the French Royal family in 1792. It is based on a well known work in Lucerne, Switzerland designed by the Danish sculptor Albert Thorwaldsen in 1819.